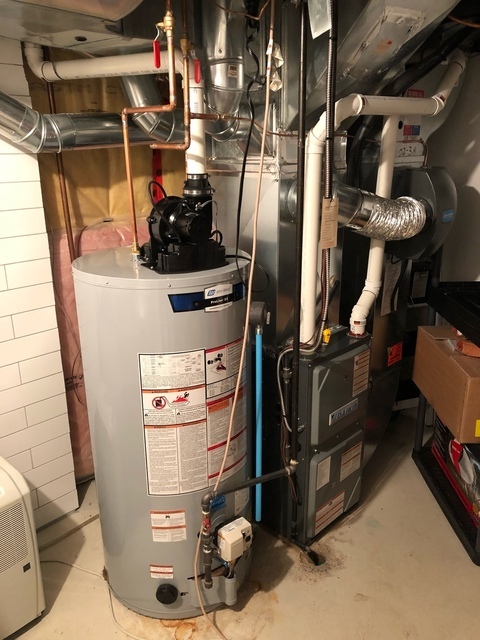 Reviews for Button's Heating Inc.
Our old furnace broke down in January 2019 and the next business day Button responded to inspect and possibly fix. 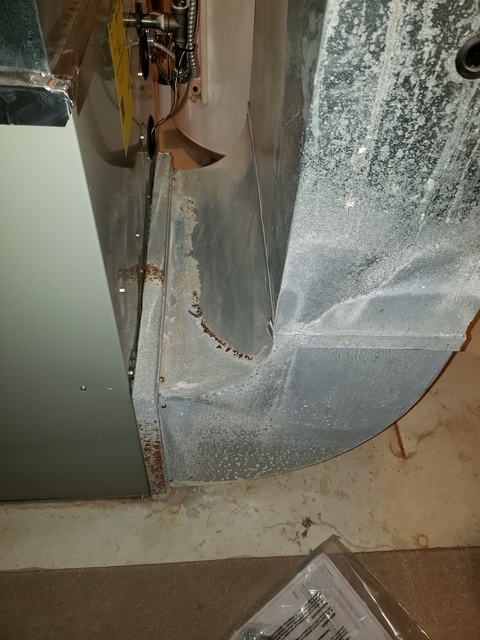 Unfornately, the unit was near 25 years old the parts to replace were costly so we decided to purchase a new high efficiency Trane unit with Button. The next day, the furnace was installed and restored heat to our home. I did have a concern with the boot and Todd came out to the house to ensure it was rectified and we were satisfied. Pictures are of the old boot and replacement. Thank you, Todd. Would recommend. We appreciate your feedback and will investigate this matter further to see how we fell short of your expectations. We look forward to the opportunity to meet and make this right. 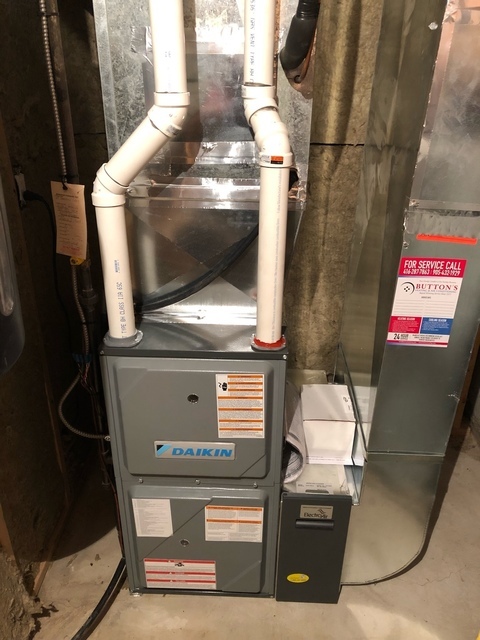 We previously had a Trane AC unit installed about 10 years ago in our old house and was very impressed back then with their knowledge and customer service. This time we needed a new Furnace and AC we decided to reach out to the Button's team again, of course they didn't let us down. I called Todd he was willing to come and discuss our needs. Prior to meeting Todd I of course had received some pricing and quotes from other vendors. But after meeting with Todd and him explaining everything i felt 100% confident and decided to give them my business again. His crew Allan, Rich, and Phil were professional and right on time! If you are in need of a AC Unit and Furnace i would recommend them! Thank you for your many years of continued commitment to using Button's Heating & Air Conditioning for your home comfort needs. We appreciate your business ! 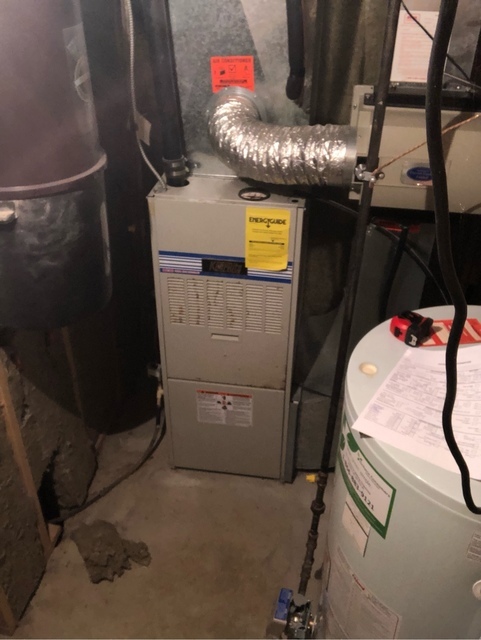 Replaced a 20 year old furnace with a new variable speed high efficientcy furnace. Todd and his team had great workmanship, were on time, clean, and offered us several options and models to choose from. 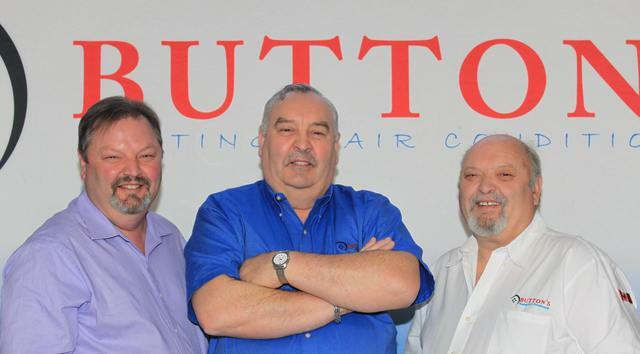 We would not hesitate to recommend Button’s Heating and Airconditioning. Thanks very much for the great review. 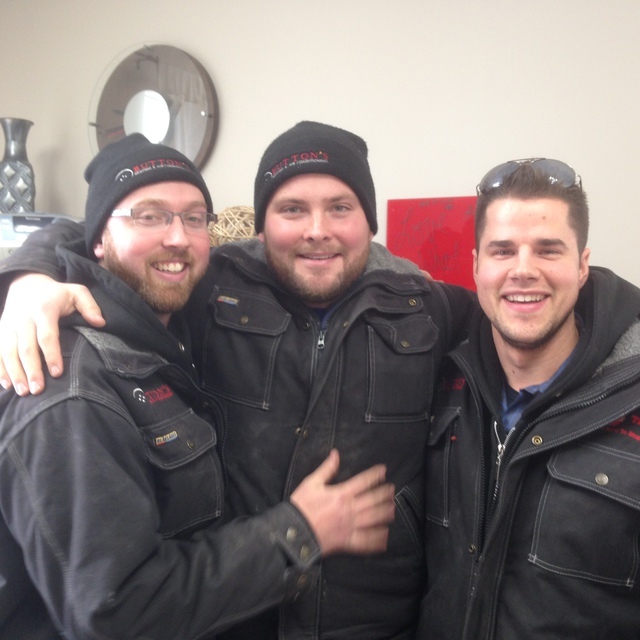 We were very happy to earn your business to replace your furnace and look forward to serving you for years to come. Received fantastic service from Button's Home Heating regarding the replacement of our furnace and AC. All aspects of the experience were totally professional right from the initial quote to final installation. With Todd's experience and knowledge of home heating and cooling systems he made it easy for us to choose the right product for our home and feel comfortable we made the right choice at the best price. The installation team of Allan, Phil, and Marcus were great. 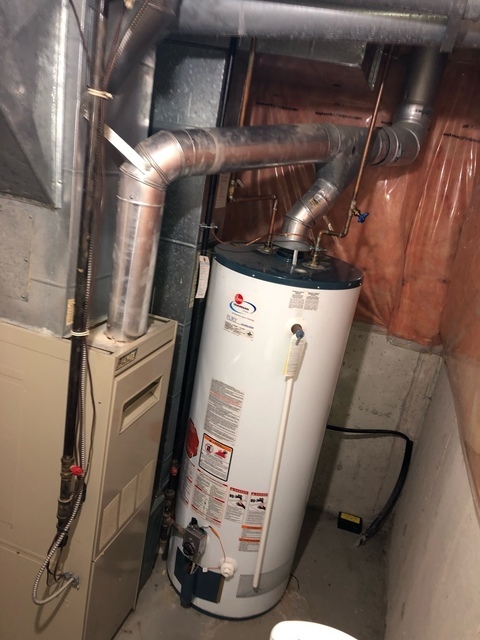 They knew their stuff in terms of setting up the furnace and AC correctly, ensuring the install was done right. We were very impressed from start to finish. Todd was vary easy to work with, he went thought everything with us in detail from the start of the job to the end. Vary professional. Not the cheepest place, but you definitely Get what you pay for. The installation was done vary quickly and neat. 100% satisfied with the work that was complete in are home. Would recommend buttons to all of my friends & family. If I ever need anything new in the future I will defiantly be calling buttons again. 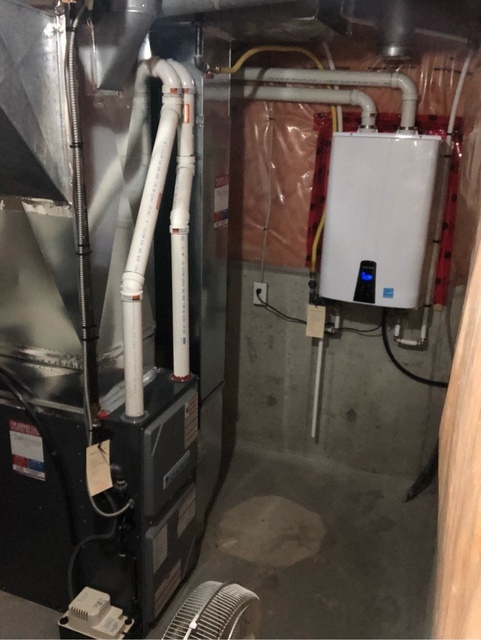 We are thrilled to have installed a new furnace and air conditioner along with a new tankless water heater. 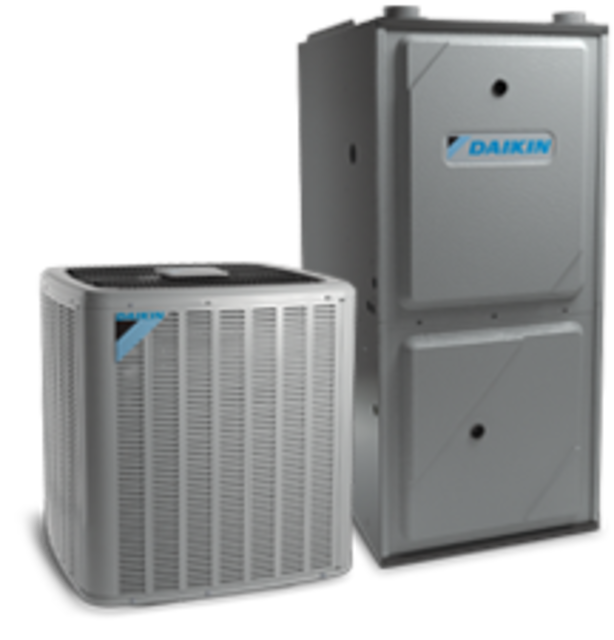 We know you will see significant energy savings with this new system and enjoy many years of new found comfort. We look forward to performing your annual maintenance. Was very happy with the timeliness and professionalism of Todd and the installers. Todd even came back to help me with an unrelated humidifier at no charge. Appreciate the personal service, especially compared to the bigger companies out there. Very happy with Todd's service. He came to our house right away and was able to diagnose and fix the issue we're having with our furnace. If you're looking for a reliable furnace/water heater/ airconditioning service repair, I highly recommend Button's Heating Inc.
Our older furnace was giving us troubles and we were in the middle of gathering quotes when it died on the coldest day of the year. We initially had a quote scheduled with Button's for the evening but asked them to come earlier than our scheduled time since we were worried about having no heat. Todd rescheduled our quote and came earlier to accommodate our request. Todd clearly knows his industry and products and was very professional. He didn't use any high pressure sales tactics or push additional products or service plans. He explained what changes they would need to make to install a newer unit and went over their various options and how each unit worked. Unlike some other quotes we got he was upfront about what they offered and didn't try to push one unit on us. 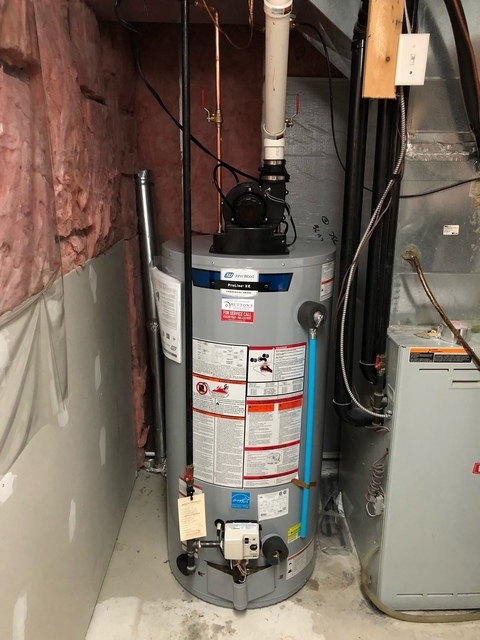 He sized the unit appropriately for our home and they were able to install the furnace a day later. Todd also explained the energy audit program and took care of scheduling the appointment for us. Installation was clean and professional and everything looks great. Button's also offered a reasonable financing program that was quite competitive with no tricks. 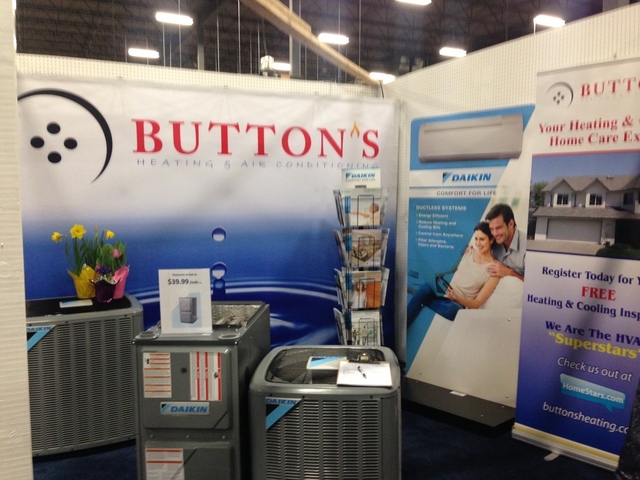 We will be contacting Button's again for our yearly service and any other heating and cooling needs. Our furnace died on the coldest day of the year. Button's Heating quickly coordinated a service technician to come and provide an assessment of our existing furnace in a very timely manner. I was impressed by how quickly they were able to come out, along with the service that was provided. They showed that they truly cared to help us in our "No heat" situation. 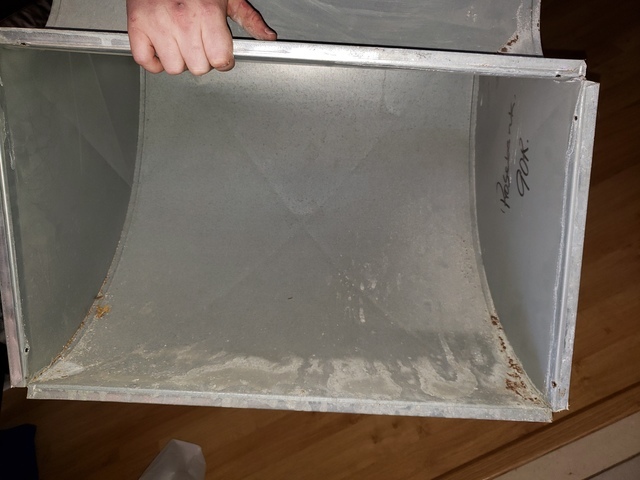 Mario was very knowledgable about our existing 30+ year old furnace and suggested we'd need a new one based on the amount of repairs required. 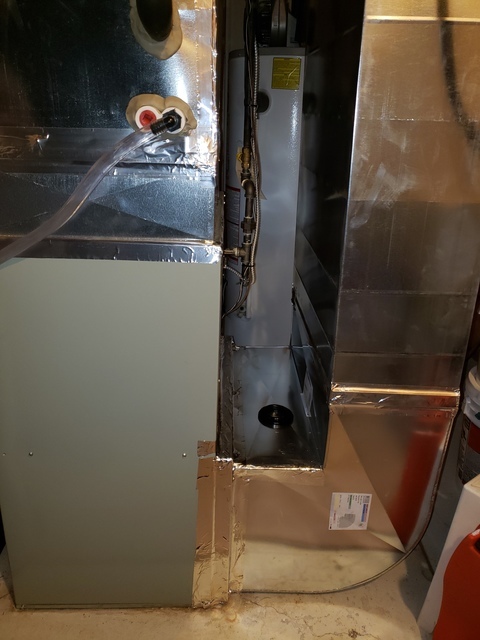 Button's was able to help us with installing a new furnace very quickly. The installation crew was very professional, helpful and neat. The new furnace is much more efficient than the old one; we're excited to have it. We're happy to continue working with Button's for the ongoing maintenance required to keep our furnace in top shape. Todd was great at explaining our options and was not pushy like some sales people. The installers were great as well, very clean and did a great job with the install. 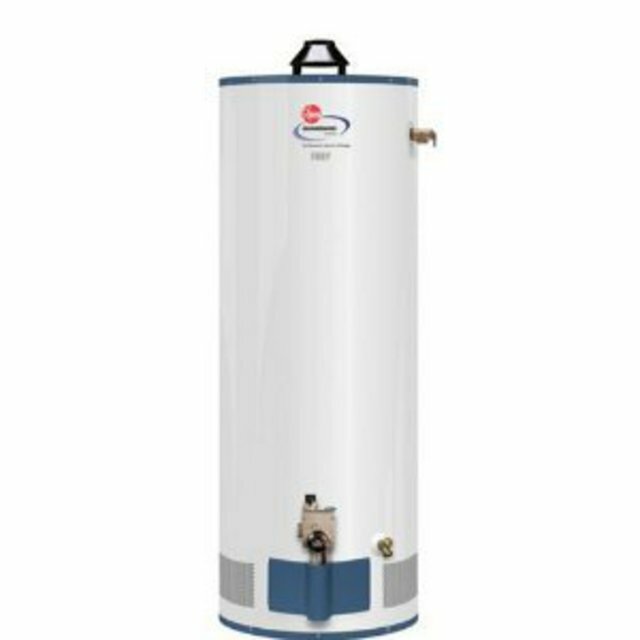 More about Button's Heating Inc.
Button's Heating has been in business since 1977. The company is operated by brothers, Earl, Joe & David Button. The Button's take great pride in their company and in their customers' satisfaction. Button's Heating Inc. guarantees high quality workmanship and service to residential and commercial customers.